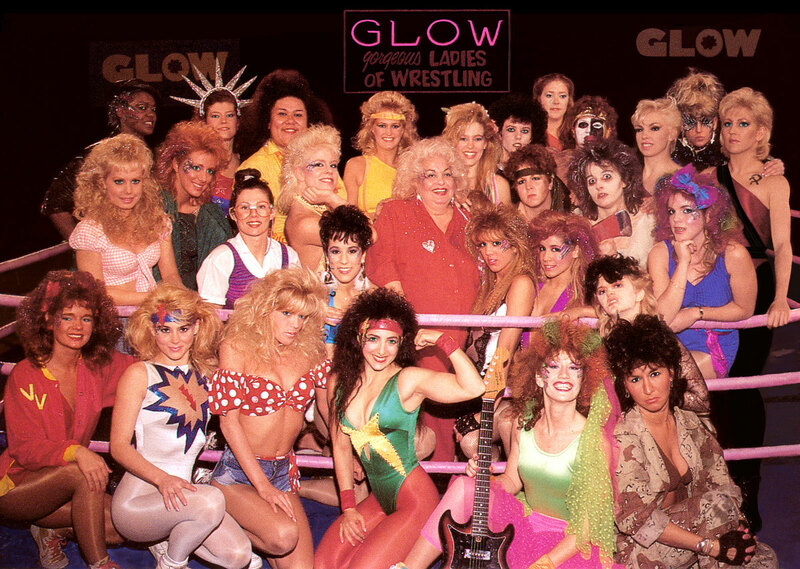 GLOW was a TV series/wrestling promotion in the late 80’s that centered around cartoon-like female characters. It featured over-the-top comedic segments, music videos and oh yes, wrestling. What’s interesting though is that the majority of its performers were not trained wrestlers, they were actresses, models and dancers. GLOW was a little before my time, but my dad always had found memories of it. It’s year 2000 reboot (WOW – Women of Wrestling) was something I remember, although without the big hair attitude of the 80’s, WOW wouldn’t survive more than a few seasons. In a time when the World Wrestling Federation’s popularity overshadowed it’s competition, it’s easy to forget how popular GLOW really was. Only one of the GLOW cast members went on to have a notable wrestling career afterwards and that was Tina Ferrari, who was known as Ivory in the WWE. She went on to capture 3 WWE Women’s title in the late 90’s, early 2000’s. I suggest for any wrestling fan, or even pop culture fan to check out the GLOW documentary (on Netflix). It’s a great take on an era of not just women’s wrestling, but 80’s culture filled with big hair, big bumps and political incorrectness. Though these ladies has contributed a lot for the wrestling, but their efforts were not considered great as the male wrestlers. But this scenario is changing now, even the women matches are taken seriously.